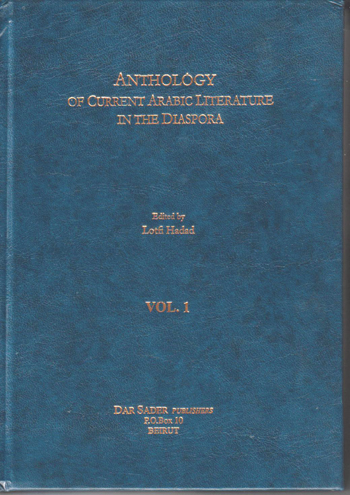 Hadad, Lotfi, editor (2004): Anthology of Current Arabic Literature in the Diaspora - Vol.1 Beirut: Dar Sader Publishers. 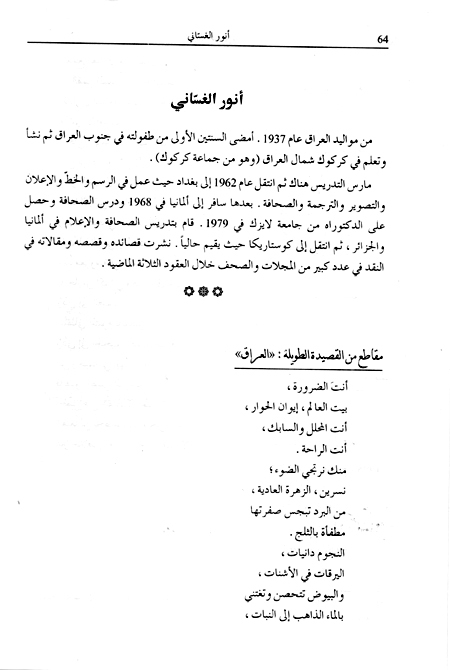 (Arabic) Arabic cover of the Anthology Excerpt from the epical poem "Iraq" (1993), first page of Anwar Al-Ghassani entry in the anthology (pp. 64-71). 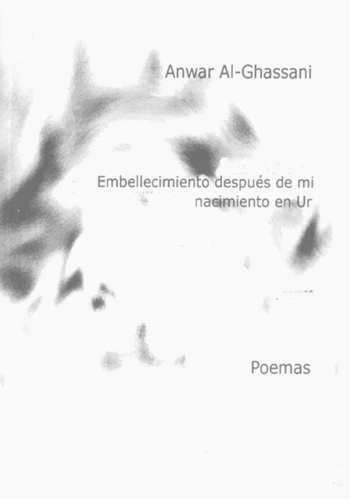 Anwar Al-Ghassani (2005): Embellecimiento después de mi nacimiento en Ur. San José: Editorial Lunes: Literatura Digital. Colección Casa de Poesía 2005. (Click on the cover for full text and more information.) 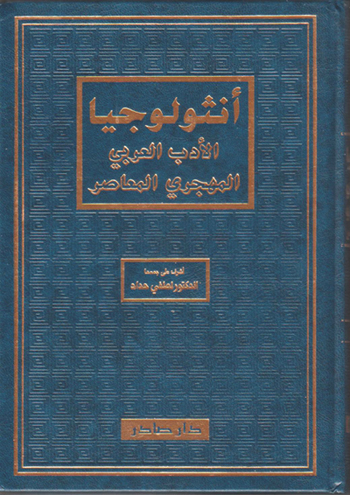 An-Nassiri, Buthaina, editor (1996): Love Poems from Iraq (anthology). Cairo: Center of Arab Civilization for Information and Publishing (Arabic). 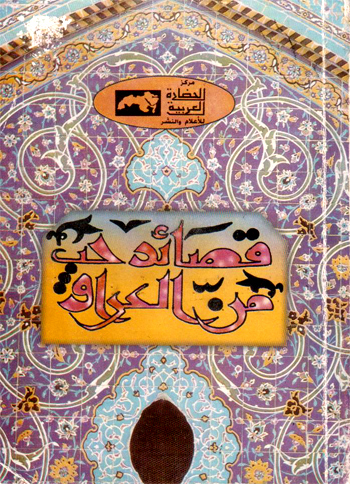 Anwar Al-Ghassani´s entry, pp. 137-147, three poems.